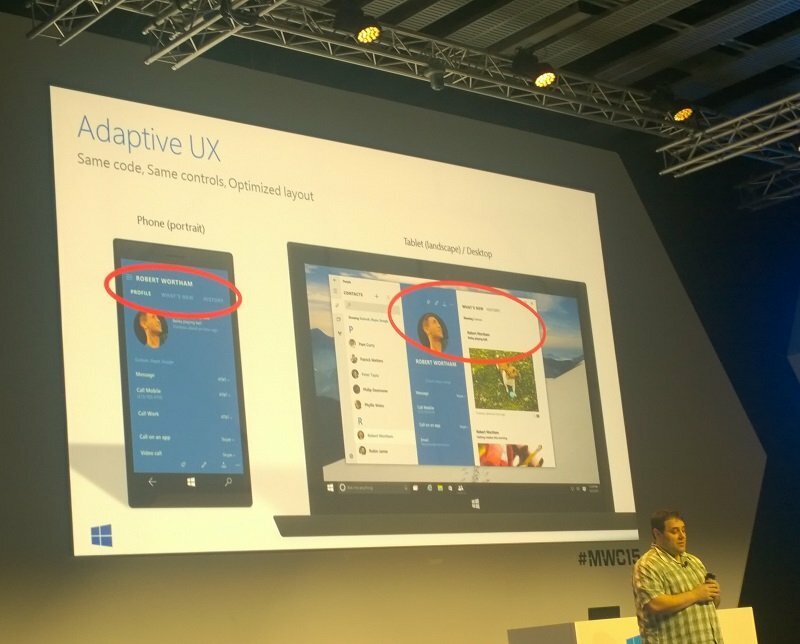 MWC 2015 Microsoft's Windows 10 Universal App Platform has been explained in detail for the first time, at a developer event in Barcelona as part of Mobile World Congress. The project is "the culmination of our platform convergence journey with Windows", according to Microsoft's Kevin Gallo, who gave the keynote at the event. The term “Universal Apps” is not new. Microsoft introduced the concept for Windows 8.1. A Universal App project in Visual Studio lets developers share code across multiple Windows devices such as PC, tablet and phone, using a feature called Portable Class Libraries to ensure that code conforms to the subset of the .NET Framework available on all the chosen targets. It turns out that a Windows 10 universal app is something a bit different. In typical Microsoft style, the name is the same but the technology is different, though related. The latest thing is called the Windows 10 Universal App Platform (UAP), and whereas the old version was mainly about sharing non-visual code, the new iteration encourages developers to design a common user interface as well. Just announced, the Adaptive UX includes new controls and layout tools that “enable an experience tailored to the device”, according to today’s presentation. The Adaptive UX uses XAML, an XML-based presentation language that Microsoft has used since the days of Windows Vista, when Windows Presentation Foundation (WPF) was created for desktop apps. Silverlight, Windows 8 and Windows Phone all used XAML, but each implementation has been different and somewhat incompatible. The UAP is an effort to use the same XAML everywhere, with the exception of WPF, which continues down its own path for desktop-only applications. The code that drives the XAML can be written either in a .NET language such as C#, or in C++. Windows 8 brought an app platform to Windows called the Windows Runtime (WinRT), a sandboxed environment that underlies Windows Store apps – also known as Metro, the controversial tablet environment. Windows 10 Universal Apps still use this runtime, but a lot has changed. An UAP app can run in a window as well as full screen, and is a more integrated experience for desktop users equipped with keyboard and mouse, though sharp-eyed users will notice that the UI differs from classic Win32 applications. The apps also differ in appearance from Windows 8 Store apps, with new controls that remain touch-friendly but have their own look and feel.